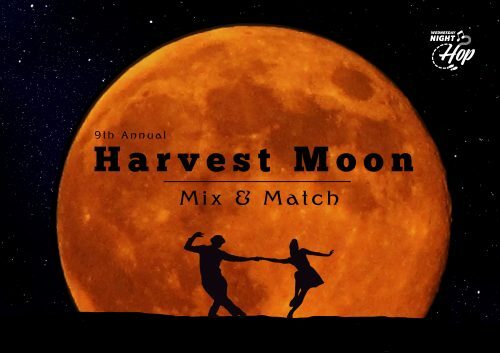 The Harvest Moon M&M Derby Contest is on! You can still drop in in our October series classes. Our 9th annual Mix & Match derby-style contest, specifically aimed at amateur dancers, is finally here! You’ll have three prelims to earn entry into the finals which will be held to live music, and the prizes are awesome, as usual. Prizes include full weekend passes to Fog City Stomp, Inspiration Weekend, and Swingin’ at the Savoy!